Steven Verhasselt graduated in Brussels, from Ehsal Business School with a Master Degree in Business Administration. He started working for the Regional Development Agency, focused on assisting startup companies with business plans, seed and venture capital. One of the projects he was assigned to lead him into aviation. 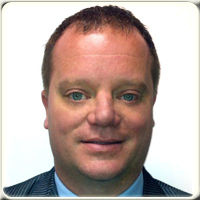 Mr. Verhasselt entered the aviation world in 2001 running a project to start up a cargo airline based in Brussels. The project led him to the Middle East and Asia, in search of business partners for the project. Mr. Verhasselt was hired by one of them, and moved to Riyadh, Saudi Arabia, In 2003, when working on a project in Hong Kong, Mr. Verhasselt decided to stay there and start his own company, consulting airports, airlines and aviation related companies willing to develop business in Asia. Today, Mr. Verhasselt works for Liege Airport (www.theflexport.com) , Belgium’s leading cargo airport. 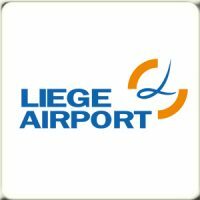 Liege Airport appointed Mr. Verhasselt as business development manager Asia 10 years ago. Meanwhile Mr Verhasselt is vp commercial and responsible for the global business development for Liege Airport, for both cargo and passengers. He is in charge of Liege Airport Consulting, who completed projects in Europe, Turkey, India, China and now developing in Congo DRC and Mexico. Mr. Verhasselt is married to Jessie Ng, and spends his weekends and holidays on playing football and golf with friends both in Hong Kong and abroad.